making decisions that apply only to us. We follow a pattern we find in the Scriptures. We are led by “ruling elders,” elected by a congregation, and “teaching elders,” church pastors and others in different ministries. Groups of Presbyteries in different regions of the country are called a “synod.” Presbyterians in Arkansas, Oklahoma, Texas, and Louisiana, are in the Synod of the Sun. Every two years we have a national meeting, a General Assembly. Their mission involves speaking to us and for us about God’s Good News. An equal number of ruling elders and teaching elders are elected by presbyteries to represent them. 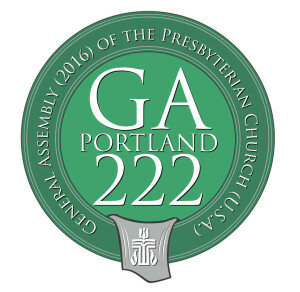 The General Assembly just finished a week-long meeting in Portland, Oregon. General Assembly meetings are often like meetings in our local churches. People have different ideas and opinions and feelings and passions about different issues and concerns. There are moments of great unity and bonding, and there are discussions and decisions that are not unanimous. People speak with great conviction and fervor, and not everyone always agrees. Too often media coverage focuses on disagreements, controversies, and misunderstandings, often reported by people who don’t understand or share our faith. It can miss moments of inspiration and unity. Take what you have been seeing and hearing with large grains of salt. We’ll have some information here at the church. You can also check our denominational website www.pcusa.org. Another source is www.pres-outlook.org, a responsible independent voice in our denomination. And when you have done that, let’s talk.